The flawed superhero with a dark edge that inspired quirky, sweeping orchestral scores with gothic undertones. 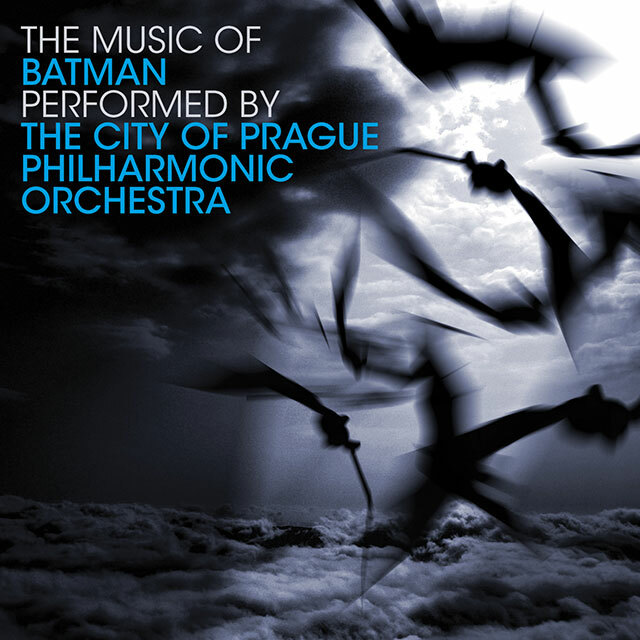 Masterfully performed by the City of Prague Philharmonic Orchestra, this unique compilation features the music from the complete Batman silver screen franchise. Composer Danny Elfman’s off-centre gothic inspiration captures the spirit of a Batman Movie soundtrack. With its four-note minor key ascent and two-note major key descent perfectly depicting the duality of the Bruce Wayne character, Elfman’s title theme had a great impact on subsequent Batman scores and Superhero blockbusters in general. Also includes music from Neal Hefti and Nelson Riddle’s sixties loungey, brassy, bass-driven beats for Batman TV series, Hans Zimmer and James Newton Howard’s minimalist angst ridden score, as well as various Batman themes from Shirley Walker (Escape from L.A.), Christopher Drake (Wonder Woman) and Elliot Goldenthal (Drugstore Cowboy, Interview With The Vampire, Heat, Frida).